A new Australian study published in PLoS Medicine claims even the slightest case of erectile dysfunction could be caused by an underlying heart condition that could increase risk of early death. Data used for the report was collected via the Sax Institute’s 45 and Up study. Researchers from four institutions, The George Institute for Global Health, The University of Sydney, Sax Institute and Victor Change Cardiac Research Institute, scoured hospital records and death reports for more than 95,000 men. Men participating in the study provided information about lifestyle and health. All participants were followed for between two and three years. During that time, slightly less than 7,900 hospitalizations were associated with heart disease. More than 2,300 men died during the two to three year period. When the hospitalizations and deaths were compared to the information offered by the men erectile dysfunction appeared to a prominent risk factor. Men who reported having erectile dysfunction were more likely to suffer heart failure, heart attack, heart conduction issues and peripheral vascular disease. 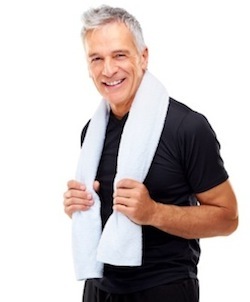 There are treatments available for both erectile dysfunction and heart disease. Typically, men who suffer erectile dysfunction should be given a clean bill of heart health before taking some erectile dysfunction medications. Maintaining good heart health with regular yearly physicals is also important. Patients should always reveal any issues with heart disease or heart failure that has occurred in the family. A family history of such events may increase patient risk of similar events. Source: Sax Institute. 30 January, 2013.